The National Fish & Wildlife Foundation (DC), a public foundation that works closely with 13 U.S government agencies to maximize conservation investments, accounted for a significant share of increased funding to the state. In 2012, NFWF increased its support to Wyoming by nearly 550% ($1.4 million). Most of this increase benefited environmental/animal-related issues, such as endangered species protection, river habitat improvement and land impact studies. 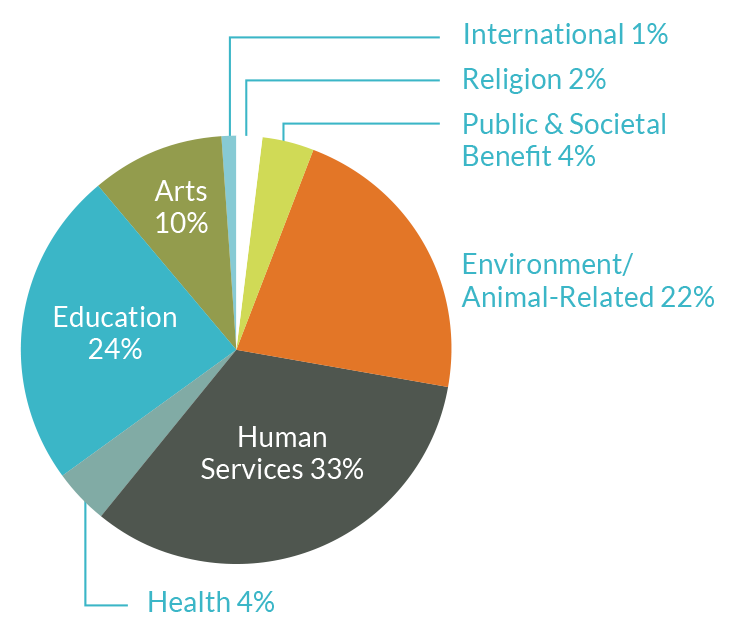 Grantmaking to education and human services also increased by 45% ($747,000) and 24% ($630,000), respectively. Family foundations provided the majority (51%) of education funding in Wyoming. Increases in human services funding benefited job training programs and public safety and disaster preparedness. Increased funding to education was largely directed toward education support services such as remedial reading programs and policy reform.